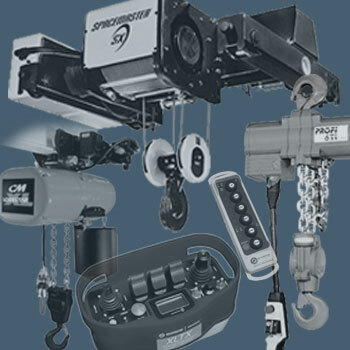 Once a year, OSHA requires a comprehensive inspection of your electrical, mechanical, and pneumatic lifting devices. Our certified technicians are equipped to handle these inspections at your facility. Our complete documentation meets all OSHA standards. Hupp Crane & Hoist has factory trained technicians on staff to repair all makes and models of hoists and cranes, whether it’s a mechanical or electrical component. Too busy to perform frequent PM inspections? Let Hupp Crane & Hoist give you a quote to provide a regularly scheduled maintenance program.